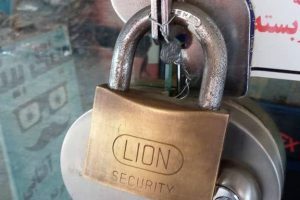 This year 32 commercial establishments belonging to Baha’is in the city of Sari have been shut down and sealed by the Government for more than 1700 days. 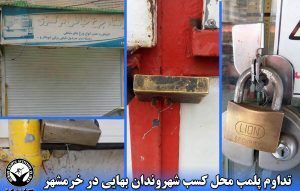 HRANA News Agency – During the first six months of 2015, 32 commercial establishments belonging to Baha’is in the city of Sari have been shut down and sealed by the Office of Properties of this city for more than 1789 days, as of the publication date of this report. According to Article 26 of an amendment to the Trade Law of 2014, shop owners may close their commercial units for up to 15 days with no prior notice. According to paragraph 1 of this same article, the decision regarding whether a business closure is excused or not is up to the Trade Office, not the Office of Properties. However the Baha’i business owners in Sari whose businesses have been shut down for this reason were asked to give written commitments to notify officials within the week prior to any closures due to Baha’i holidays, and in some cases they were asked to give a commitment to only close their business for Baha’i holidays, with prior permission from the Office of Properties. Operating without a business permit, according to the Trade Law, does not lead to an immediate closure of the business. The Trade Office has a duty to issue a warning upon becoming aware of a business’ lack of permit, but not to close the business at that point. The following list is the names of those whose businesses have been shut down due to not having a business permit or business manager ID card, and their status quo has been left unchanged for a long time. These individuals have gone to the Office of Properties for resolution over and over, but never received any answers. Finally, instead of receiving their permits or ID cards (the applications of these individuals were complete and did not lack any documentation), their businesses were shut down under the excuse of not having a business permit or an identification card. These sorts of financial hardships imposed on Baha’i’s are carried out according to an official document that the commander of the Islamic Republic’s Law Enforcement Forces (LEF) issued to all the LEF Offices of Properties Branch, on March of 2007. In this document the identification and monitoring of Baha’is was ordered with the intention to control, marginalize, and oversee the actions of all Baha’is. Preventing Baha’is from professional advancement and the comforts of life were also clear goals of the instructions issued by the Islamic Republic LEF commander. Name of the business owner: Akbar Hosseini / Type of business: Lumber sales / Date of closure: 22 March, 2015 / Excuse for the closure: Lack of business permit / Duration of the closure: 20 days / Comments: Commit to retail sales or change profession. Name of the business owner: Farzin Movafaghi / Type of business: Hardware store / Date of closure: February, 2015 / Excuse for the closure: Lack of business permit / Duration of the closure: 7 days / Comments: Commit to acquire permit. Name of the business owner: Zatollah Darabi / Type of business: Carpentry / Date of closure: February, 2015 / Excuse for the closure: There was a door from the business that opened to the personal residence from one side. / Duration of the closure: 7 days / Comments: It was requested that the door be replaced by a solid wall. Name of the business owner: Sohrab Zahedi / Type of business: Office supplies sales / Date of closure: 24 March, 2015 / Excuse for the closure: Baha’is should not own wholesale businesses / Duration of the closure: 87 days / Comments: Storage is still sealed shut. Name of the business owner: Arash Sedghi / Type of business: Disposable supplies / Date of closure: 22 March, 2015 / Excuse for the closure: Due to the business permit holder not present in the store. / Duration of the closure: 14 days / Comments: Commit to acquire Store management identification card. Name of the business owner: Pedram Ghanbari / Type of business: Disposable supplies / Date of closure: 22 March, 2015 / Excuse for the closure: Lack of business permit / Duration of the closure: 20 days / Comments: Commit to acquire a permit. Name of the business owner: Ghobad Zahedi / Type of business: Office supplies sales / Date of closure: 23 February, 2015 and 22 March, 2015 / Excuse for the closure: 1st instance – Business permit holder not in the store. 2nd instance – Baha’is in Sari are banned from wholesale business / Duration of the closure: 7 days / Comments: Commit to get a management ID card; Storage is still sealed shut. Name of the business owner: Safa Teimouri / Type of business: Lumber sales / Date of closure: 22 March, 2015 / Excuse for the closure: Lack of business permit / Duration of the closure: 20 days / Comments: Commit to reduce sales activities and acquire a permit. 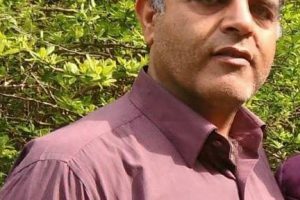 Name of the business owner: Mehran Kamali / Type of business: Electronic wiring / Date of closure: 24 May, 2015 / Excuse for the closure: Closure of business on a Baha’i holiday which is not one of the official closing days of the country / Duration of the closure: 20 days / Comments: Closing of Baha’i locations requires one week prior notice to the Office of Properties. Name of the business owner: Mohammad ali Cheramin / Type of business: Disposable plates / Date of closure: 24 May, 2015 / Excuse for the closure: Closure of business on a Baha’i holiday which is not one of the official closing days of the country / Duration of the closure: 20 days / Comments: Closing of Baha’i locations requires one week prior notice to the Office of Properties. Name of the business owner: Ziaollah Khoshbin / Type of business: Paint store / Date of closure: 22 March, 2015 and 24 May, 2015 / Excuse for the closure: Business permit holder not in the store, and Closure of business on a Baha’i holiday which is not one of the official closing days of the country, and Baha’is should not own wholesale businesses. / Duration of the closure: 27 days, and 76 days for the wholesale storage. / Comments: Closing Baha’i locations require one week prior notice to the Office of Properties. Name of the business owner: Ehsanollah Sana’i / Type of business: Sales of health and sanitary supplies / Date of closure: March, 2015 and 24 May, 2015 / Excuse for the closure: Business permit holder not in the store, and Closure of business on a Baha’i holiday which is not one of the official closing days of the country. / Duration of the closure: 27 days / Comments: Closing of Baha’i locations require one week prior notice to the Office of Properties. 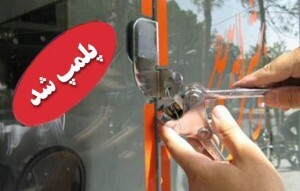 Name of the business owner: Farshad Bagha’i / Type of business: Refrigerator repairs / Date of closure: 24 May, 2015 / Excuse for the closure: Closure of business on a Baha’i holiday which is not one of the official closing days of the country. / Duration of the closure: 7 days / Comments: Closing of Baha’i locations require one week prior notice to the Office of Properties. Name of the business owner: Kamal Akbari / Type of business: Wood working / Date of closure: 24 May, 2015 / Excuse for the closure: Closure of business on a Baha’i holiday which is not one of the official closing days of the country. / Duration of the closure: 115 days / Comments: Continues to be shut down. Letter to allow the breaking of the seal has been issued twice by the Trade Office; however the Office of Properties Special Section blocked both orders. Name of the business owner: Ghavameldhin Sabetian / Type of business: Carpentry / Date of closure: 22 March, 2015 / Excuse for the closure: One of the store doors opened to the entryway of the residential home. / Duration of the closure: 149 days / Comments: Continues to be shut down. Name of the business owner: Aramesh Zohouri / Type of business: Clothing store / Date of closure: 24 May, 2015 / Excuse for the closure: Closure of business on a Baha’i holiday which is not one of the official closing days of the country. / Duration of the closure: 20 days / Comments: Closing of Baha’i locations require one week prior notice to the Office of Properties. Name of the business owner: Vahab Darabi / Type of business: Clothing store / Date of closure: 24 May, 2015 / Excuse for the closure: Closure of business on a Baha’i holiday which is not one of the official closing days of the country. / Duration of the closure: 20 days / Comments: Closing of Baha’i locations require one week prior notice to the Office of Properties. Name of the business owner: Saeed Goli / Type of business: Clothing store / Date of closure: 24 May, 2015 / Excuse for the closure: Closure of business on a Baha’i holiday which is not one of the official closing days of the country. / Duration of the closure: 20 days / Comments: Closing of Baha’i locations require one week prior notice to the Office of Properties. Name of the business owner: Taraneh Zahedi / Type of business: Clothing store / Date of closure: 24 May, 2015 / Excuse for the closure: Closure of business on a Baha’i holiday which is not one of the official closing days of the country. / Duration of the closure: 20 days / Comments: Closing of Baha’i locations require one week prior notice to the Office of Properties. Name of the business owner: Vargha Rouhani / Type of business: Herbal medicine / Date of closure: 24 May, 2015 / Excuse for the closure: Closure of business on a Baha’i holiday which is not one of the official closing days of the country. / Duration of the closure: 20 days / Comments: Closing of Baha’i locations require one week prior notice to the Office of Properties. Name of the business owner: Ehsan Izadi / Type of business: Health and sanitary supplies / Date of closure: 24 May, 2015 / Excuse for the closure: Closure of business on a Baha’i holiday which is not one of the official closing days of the country. / Duration of the closure: 7 days / Comments: Closing of Baha’i locations require one week prior notice to the Office of Properties. Name of the business owner: Ali Jazbani / Type of business: Carpentry / Date of closure: 22 March, 2015 / Excuse for the closure: Lack of a permit. / Duration of the closure: 149 days / Comments: Continues to be shut down. Name of the business owner: Payam Taghva’i / Type of business: Accessory equipment for cooler system/ Date of closure: 30 June, 2015 / Excuse for the closure: Baha’is are banned from owning wholesale businesses. / Duration of the closure: 78 days / Comments: Continues to be shut down. Name of the business owner: Sohrab Zahedi / Type of business: Office supplies / Date of closure: 1 July, 2015 / Excuse for the closure: Baha’is are banned from owning wholesale businesses. / Duration of the closure: 78 days / Comments: Continues to be shut down. Name of the business owner: Ghobad Zahedi / Type of business: Clothing store / Date of closure: 1 July, 2015 / Excuse for the closure: Baha’is are banned from owning wholesale businesses. / Duration of the closure: 78 days / Comments: Continues to be shut down. Name of the business owner: Arman Safa’i / Type of business: Clothing store / Date of closure: 1 July, 2015 / Excuse for the closure: Baha’is are banned from owning wholesale businesses. / Duration of the closure: 78 days / Comments: Continues to be shut down. Letter to allow the breaking of the seal was issued by the Trade Office; however the Special Section of Office of Properties blocked the order. Name of the business owner: Shahab Nobakht / Type of business: Lace materials / Date of closure: 3 July, 2015 / Excuse for the closure: Baha’is are banned from owning wholesale businesses. / Duration of the closure: 78 days / Comments: Continues to be shut down. Name of the business owner: Vedad Derakhshan / Type of business: Distribution of supermarket items / Date of closure: 26 June, 2015 / Excuse for the closure: Baha’is are banned from owning wholesale businesses. / Duration of the closure: 78 days / Comments: Continues to be shut down.